JSC Gazprom Neft increased its retail sales of oil products in the first half of 2011 by 29% in relation to the corresponding period of 2010. This was reported by the company’s press-service. At the same time JSC Gazpromneft-Novosibirsk raised petrol sales at the filling stations in the first half of 2011 by 40% in comparison to the corresponding time period of 2010 – as much as 565.4 thousand tons. “The sales rise was possible due to rebranding the Gazprom Neft petrol station network, and introducing common standards of customer service”, — the CEO of Gazpromneft-Novosibirsk Andrey Shimkiv points out. According to his estimation after rebranding petrol stations the retail sales of oil products rise by 10-15%. Omsk oil refining plant starting the production of euro-3 petrol in winter 2011 became the factor which simulates bulk sales, the company statement says. Besides, the first half of 2011 saw the 37%-rise of the noncash fuel sales to the corporate customers in relation to the corresponding period of 2010. JSC Gazprom Neft (ex-Sibneft) is a subsidiary oil producing enterprise of JSC Gazprom, which owns 95.68% of the company’s shares. 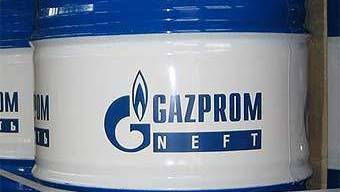 The chartered capital of Gazprom Neft is 7.59 million rubles, it is divided into 4.74 billion shares of common stock with the face value of 0.0016 rubles. Gazprom Neft assets in Russia include the Omsk oil refining plant, a share in the Moscow oil refining plant (38.8%), 50% of Slavneft shares (controlled on parity terms with TNK-BP), which in its turn owns 42.5% of the Mozyr oil refinery; as well as 56.15% shares of the Serbian vertically-integrated oil company Nafta Industrija Srbije (NIS), which owns two oil refineries, a liquid gas plant, 480 petrol stations and oil tank farms.